Michigan Wholesale Diamonds sells directly to the public at wholesale prices. We are a local Michigan business and will meet with you in a private and safe setting to show you our diamonds. Unlike other internet diamond sellers,we will actually get the diamond you want so that you can see it in person. You can personally see and touch the diamond to make sure it id exactly what you want to buy. If you request to see a diamond and it does not meet your approval or it simply is not what you want, then you do not have to buy it. There is absolutley no obligation to purchase it from us and we do not charge any money to get the diamond and show it to you. We bring more than 20 years of international diamond knowledge and experience to you. We have a sophisticated understanding of the global diamond market. We will earn your business and trust by providing the best quality service and lowest possible diamond prices. Diamonds are a rare and precious commodity. If you are searching the internet for high quality diamonds, you will most likely see the exact same diamonds on different diamond seller websites. This is because most diamond sellers purchase diamonds from the same sources to sell to both jewelers and the general public. You can buy the exact same diamond from multiple websites, but the price you pay will greatly differ depending on the seller. When you buy from Michigan Wholesale Diamonds,you will be getting the exact diamond that you want at the lowest possible price. This is because we add the lowest profit margin so that you can save money. Unlike large jewelry stores and chain stores, we do not need to grossly inflate the price of the diamond to cover the large expenses of operating a retail store. We keep our overhead low so that our customers save money. This allows you to buy a high quality diamond at a low price. Our goal is to sell the highest quality diamonds to the public at the lowest possible price, while providing an excellent diamond buying experience. We know this is a big investment for you so it is important that you feel confident in your purchase. Unlike online diamond brokers, you do not have to pay us any money up front to see the diamonds. You will have access to an extensive inventory of more than 12,000 stones. The prices we provide are REAL WHOLESALE PRICES. We work by appointment only, earning your trust by walking you through the diamond buying process step by step so that you become an educated buyer. 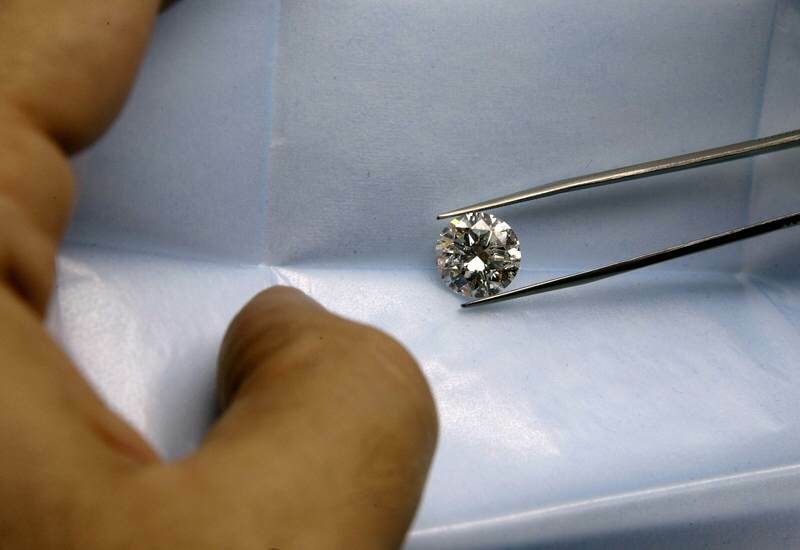 We will provide you with the G.I.A certified diamond certificate that grades the specific characteristics of your diamond. This report by the Gemological Institute of America(GIA), which is the most respected diamond lab in the world. We strive to make the process personal. From beginning to end, we will see you through the entire diamond buying experience. After you choose your stones, we can help you customize and design a ring by working with the best jewelers that Michigan has to offer. If at any future time you choose to upgrade your stone, you will be given full trade-in credit towards an upgraded purchase. We are proud to pay our customers well above their highest offers, since we work with the largest gold refineries in the country. Call us at (844)8834266 or email at buydirect@michiganwholediamonds.com.